One of the most beautiful and visually stunning games ABZU captures the imagination through a mesmerizing underwater adventure. 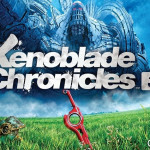 It’s an endless visual masterpiece that takes the player to one spectacular scene after another. 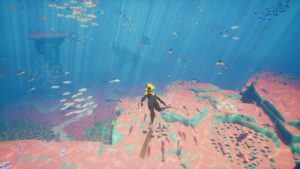 Beautifully directed ABZU takes an artistic and imaginative direction with gaming. Each scene is colorful and vibrant showcasing the most beautiful aspects of ocean life. This game truly shows a living ocean and full of wonderful life. 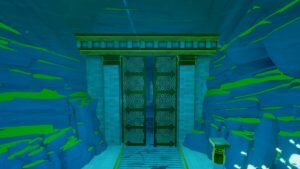 ABZU takes the player to many underwater places. Here the diver journeys into a kelp forest. As you travel through the ocean you open up new areas that are completely different from the last. Most of the game takes place underwater but you have the ability to surface. 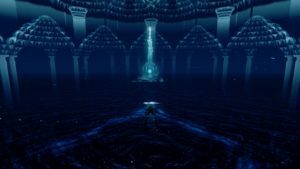 At one point the player goes through a whirlpool to find a fantasy palace above the water. From here you release water and manta rays and travel to the world of jellyfish. Oh the jellyfish, so sublime and peaceful. 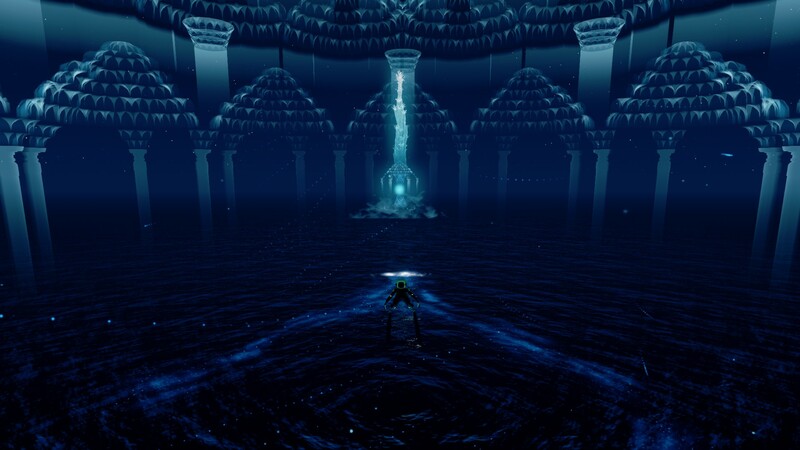 Encountering the enchanting ocean palace. As a scuba diver this game truly captures the wonderment of diving and the beauty of the underwater world. In one scene the diver is swimming through a kelp forest. For me one of my best dives was in the kelp forests near San Diego. 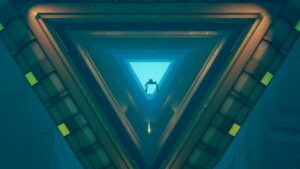 It was a surreal experience and ABZU gave me that same feeling. Underwater is a magical place where life disappears and you float through another world of aquatic creatures from fish, to jellyfish, sharks, whales, rays, and dolphins. 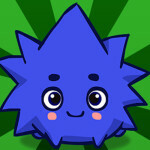 In this game you can experience all the creatures of the ocean and so much more. My diver’s time swimming with dolphins was as enchanting as it sounds. 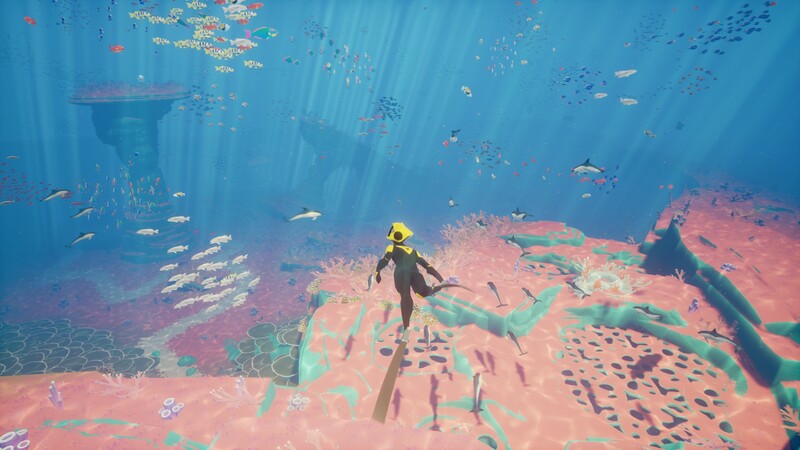 The ocean in ABZU is teeming with life. 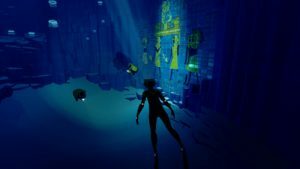 In ABZU you as the player control a diver. The diver is a neat little creation that seems to be a being of the ocean world. There is no dialogue but this game doesn’t need it. 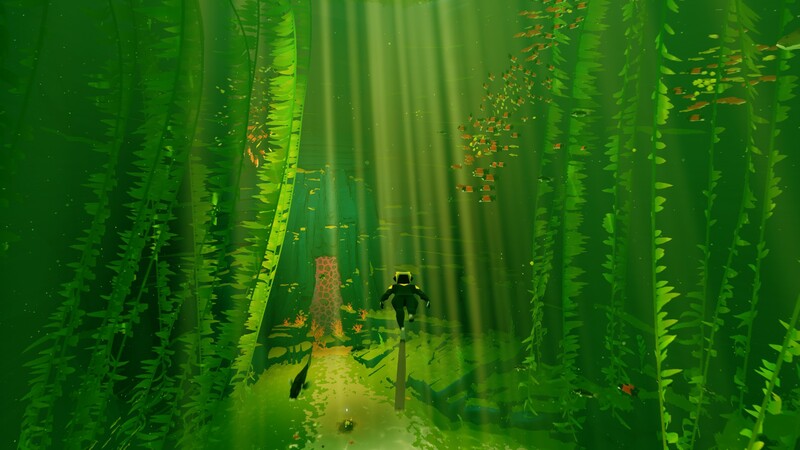 This game is about the exploration of an underwater world. 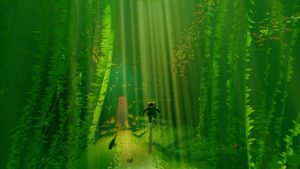 I felt very relaxed playing this game to just swim through each new area, exploring ruins of a civilization, and observing all the amazing life around. 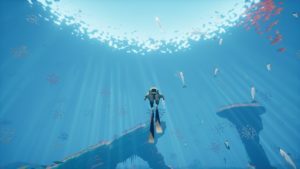 Dive into ABZU right now with a digital copy from Amazon! Encountering the ruins of a long forgotten civilization. There is so much to explore and you don’t do it alone. Throughout your adventures the diver finds little robots that have lights and sonar. Both the robots that swim with you and your diver have sonar. The sonar awakens different objects that can be used along the journey or open gateways to new areas. Some objects are just treasures. 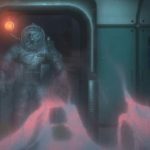 Icons let players know when to use sonar on an object. The diver with his robot buddies exploring ancient ruins. Some areas encountered are quite interesting that look as though an underwater civilization once existed. At one point I encountered a large triangular doorway and then there was the glowing palace at night. Touching an icon released manta rays in a spectacular display with the ocean rising sending the diver to another adventure. 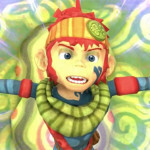 Each new area of exploration is reached through some form of tunnel or gateway. Here an ancient gateway opens up to a new adventure. 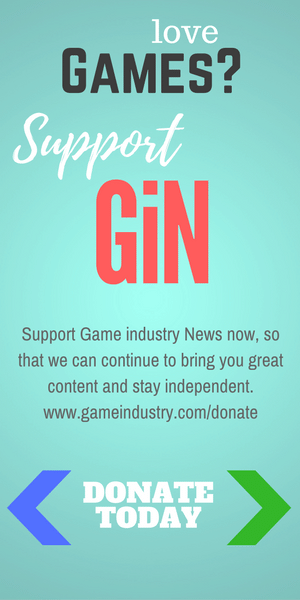 Most if not all this game is positive, from gameplay to the visuals to the creative diver to the myriad of creatures. One thing that got the game off a bit slow was learning the controls. The game and I highly recommend a controller. An Xbox controller works perfectly with the PC game as will a steam controller. It will respond to a keyboard and mouse but the game just flows better using a controller. Sometimes my diver would be a bit hard to control and the camera moved in the wrong direction but it’s easy to regain control and then smoothly ride out the game. It is hard to really put this game to any words but a visual masterpiece would be a good way to start. Underwater adventures that will just excite the imagination and relax the mind. If you need a break from daily life turn on this game and escape to a fantastical world with so much to explore and uncover. Just watch out for the sharks. In one scene a great white ate one of my buddy robots. Then another moment I was caught in an ocean current with dolphins and schools of fish just riding it to the end. I also rode a giant fish to the kelp forest. I highly recommend this game to everyone looking for an escape and new adventure. ABZU is a breathtaking adventure that you will never want to end.